John Murray, CEO of Concept Laser USA, has said that Europe is five years ahead of the USA in adopting additive manufacturing technology. 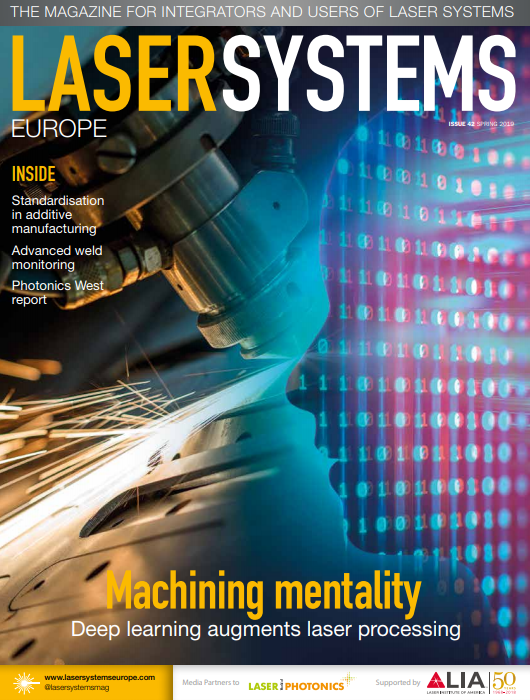 Concept Laser has sold around 575 laser additive manufacturing systems worldwide, with 363 in Europe. Murray made the comments at a session on 3D printing at SPIE Photonics West on 17 February in San Francisco, USA. He said that the company’s largest customer is making medical implants, but that the aerospace sector is incredibly aggressive. Airbus is planning to print 1 tonne of metal powder per month in 2018, according to Peter Sander, Airbus's head of emerging technologies and concepts. These will be components like brackets, which are lightweight indicating large volumes of parts are being made. A project by Airbus, Laser Zentrum Nord and Concept Laser was shortlisted for the 2015 German Future Prize, for an additively made titanium bracket used onboard the Airbus A350 XWB. Murray remarked during the panel discussion that 3D printing in industry has to grow up, saying that additive machines still have a lot of ‘levers’ and that industry needs systems that are less complex and have less variation. He also noted that the cost of the equipment has to come down – ‘we’re going to have to be more efficient at making the machines’, he said. Along with Murray, the other panellists taking part in the discussion at Photonics West were John Hornick, a partner at law firm Finnegan, Henderson, Farabow, Garrett and Dunner; Jyoti Mazumder at the University of Michigan; and Rebecca Taylor, senior VP for the National Center for Manufacturing Sciences. Murray noted that, at the moment, additive machines in industry are completely isolated and not linked to the internet, and therefore have no influence from outside the production facilities. He added that cyber security could become a problem when moving into a smart factory environment, where production equipment is connected to the internet. It is believed the factories of the future will rely more heavily on the internet, and cyber security could become more of an issue here. Hornick at Finnegan law firm commented that companies using additive manufacturing still need to have a strong IP portfolio. He said that 3D printing lends itself to mass customisation, but that the IP is generally for the process, which is unique to the organisation that developed it. Murray added that additive manufacturing is at the high end of engineering; it is a complex process, he said, and difficult to copy. Hornick also remarked that strides are being made to get 3D printing into schools, which is where the next generation of engineers developing additively made products will come from. He added though that the 3D design software has to improve to increase adoption of the technology in schools. Getting the technology into schools will be an important part of pushing the boundaries of 3D printing. It is a different manufacturing discipline to traditional methods; Murray remarked that engineers have to think differently about how they design additive parts. GE, in one of its initiatives, crowdsourced the design for a jet engine bracket and then printed out the top 10 entries to get alternative perspectives on how to design additive components. The software is just one aspect of additive processes, but an important one and one that Hornick believes is vital for learning how to get the most out of 3D printing technology.